Will Making A PPI Claim Affect my Relationship With the Mentioned Lender? Will Making A PPI Claim Affect My Relationship With The Lender? When Barclays bank first came under scrutiny in 2004 for the mis-selling of PPI insurance alongside their financial services, you would’ve been forgiven for not thinking it would reach the scale it has today. With millions in compensation being paid out to victims of mis-sold PPI every day, those who had a loan or credit in the 90’s or early 2000’s are being encouraged to check their policies to see if they may fall under the umbrella for claim eligibility. However, with an increasing number of people turning to claims, the question ‘will a PPI claim affect my relationship with my lender?’ is starting to pop up more frequently. Before making a PPI claim, many are concerned how this may affect their relationship with the lender. This is especially true if they still have loans or debts with them or use them as a regular banking service. Thankfully, those who may have these concerns can rest assured that making a PPI claim will not have an adverse effect on their relationship with the lender. For additional peace of mind, it is worth noting that there are various regulations in place in order to ensure that making a PPI claim will not impact any existing relationship which you may have. All banks and financial institutions are regulated by the Financial Conduct Authority (FCA) who ensure that you and every other claimant are treated fairly when making claims. Thousands of people are making PPI claims and it has quickly become a matter of protocol and routine. For this reason, your bank is unlikely to change their practices. What If I Have Enjoyed Using My Lender? It’s entirely possible that you have had memorable experiences with your lenders and have built up good rapport and even better credit scores and rates. If this is the case, there is no need for you to turn away from your lender or worry about a ruined relationship. If you’re questioning ‘will a PPI claim affect my relationship?’ it’s important to remember that it is not only against regulation to treat customers unfairly as a result of a claim but that it is unethical to do so, too. The Banking Code is yet another regulation that ensures that banks are only utilising fair practices with their clients and customers, so no matter the size of your claim, you can be confident that your relationship will remain intact. 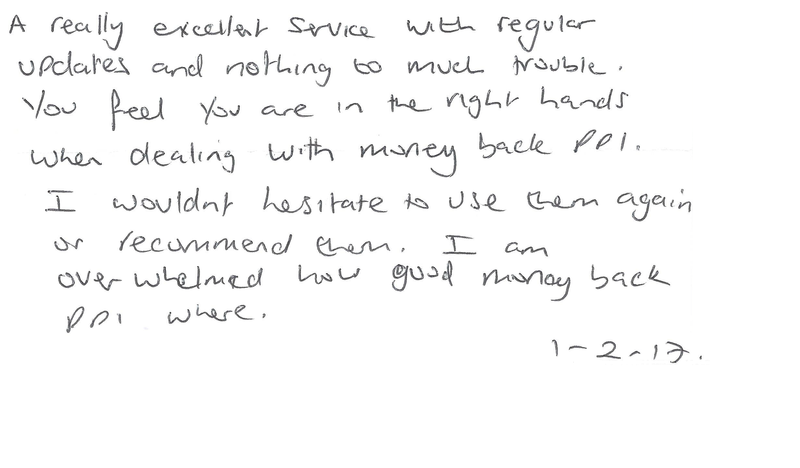 If you have put your mind at ease, you’re eligible for PPI refunds and you’re considering making a PPI claim from your bank or lender, here at MoneyBack PPI, we are happy to provide help throughout the process. Our team of highly experienced individuals are on hand to guide you through the claims process and are able to contact your bank on your behalf if you’re concerned about your relationship with the lender. In order to kick-start your claim, simply fill in the form on our website. Alternatively, if you have any further questions or would like any advice on potential PPI claims against banks and lenders, feel free to get in touch with a member of our knowledgeable team, today.